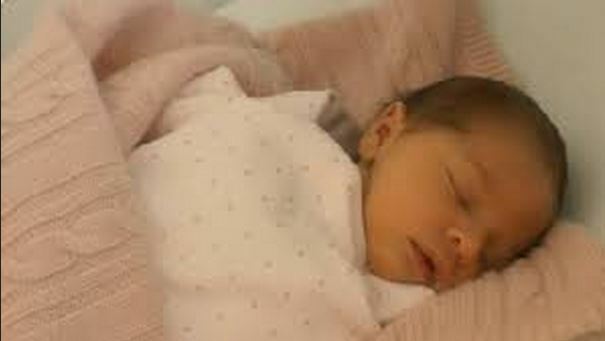 On Thursday February 20th, a new little Swedish princess was born in New York City. Or was it on February 21st? The confinement took place so late in the evening that it had actually turned into the next day in Sweden. So, which date counts as her birthday? The one where the event took place or the one relevant to the country to whose royal family she belongs? On Friday morning I published a small contest on RDQ’s Facebook page: Who can guess the name and title of the newborn child? There were a lot of suggestions, for names like Astrid, Christina and Désirée, for example, and when it came to Dukedoms (Duchessdoms?) several provinces were mentioned, including Blekinge and Lapland, neither of which has ever had a Duke assigned to them. My contribution was LILIAN and GOTLAND. It turned out to be a brilliant guess, as the little girl is to be H.R.H. Princess Leonore LILIAN Marie of Sweden, Duchess of GOTLAND. How did I nail this one? Well, the first name was perhaps not that difficult, since the family’s beloved “Auntie”, Princess Lillian, had recently passed away. But the province? My reasoning was as follows: Which province would be fitting for a princess, born at some distance away from the mainland? An island perhaps? Well, Sweden has two, Öland and Gotland. The former would be a perfect choice, since the Solliden palace, where the Royal family has its summer retreat, is located there. But Öland is already, so to speak, taken, as Crown Princess Victoria celebrates her birthday there every summer, with the so called “Victoria day” – broadcast on TV and all. So, Gotland then! Gotland has had a single duke, the second son of King Oscar II, Prince Oskar (1859-1953), who lost both the Dukedom and his place in the line of succession when, in 1888, he married Ebba Munk af Fulkila, who was certainly noble but not royal. Despite this, the couple continued to be styled Prince Oskar and Princess Ebba Bernadotte. Their children, however, including the famous Folke Bernadotte (1895-1948), did not have any titles whatsoever. This upset the proud King Oscar, but he was not in a position to do anything about it. His brother-in-law, Duke Adolf of Luxemburg, was, and in 1892 he generously provided a Luxembourg title to the princely couple and their descendants. They became counts and countesses “af Wisborg”, a clever choice of name, alluding to the name of the ruined castle near Visby in Gotland, Oskar’s dukedom. In time, the descendants would adjust their name and title to “counts/countesses Bernadotte af Wisborg”. The same generosity was not granted forty years later, when Prince Lennart, Duke of Småland (1909-2004), insisted on marrying his sweetheart, Miss Karin Nissvandt. He was stripped of all titles, prerogatives and his apanage, becoming Mr. Lennart Bernadotte, plain and simple. Same thing with Princes Sigvard, Duke of Uppland (1907-2002), and Carl Johan, Duke of Dalarna (1916-2012), when they eventually jumped off the royal train. This was perceived as unfair, especially by Sigvard, who pestered his father until 1951, when the latter extended the 1892 ennobling, with a little help from his 2nd cousin, Grand Duchess Charlotte of Luxembourg, to apply to these three princes and their families as well. One that never came to be covered by this honor was Prince Carl Jr. (1911-2003), Duke of Östergötland, the son of Prince Carl and Princess Ingeborg. His marriage in 1937 to Countess Elsa von Rosen was at the time about as close as one could come to an acceptable royal match, but for the sake of consistency, it was decided that Prince Carl Jr would be treated in the same way as Princes Lennart and Sigvard. Carl, however, had the good fortune to be the brother-in-law of a reigning King, Leopold III of Belgium, who quickly bestowed a Belgian princely title upon him.